Synthetic duvets has tremendously increased its value and fame since last few years and had given an outstanding bounce in terms of quality, weight and cost. Gone are the days when they were considered to be cheap and ignored for its heavy weight and poor quality. Revolution and innovation of synthetic duvets in terms of novel fillings, warmth and weight made them immensely popular and thus they become apple of the eye among its consumers. Synthetic duvets are usually filled with high quality polyester or microfiber and offer excellent loft and splendid warmth to you. They are best alternative for those who are allergic to feathers. 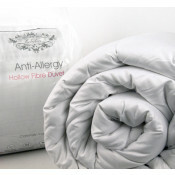 Synthetic duvets are hypo allergic and grant practical solutions for those who are prone to it. Maintenance is not an issue when we talk about synthetic duvets. They are machine washable and dry rapidly too. Some of them can be washed even at temperature beyond 60 degree Celsius, destroying minute micro organisms and dust mites that cause allergies and various skin infections. 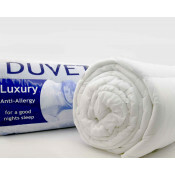 If you are in a habit of washing duvets frequently for whatever reason it may be, then synthetic duvets go well with your choice and preference. Synthetic duvet filed with microfibers has brought a grand revolution in progression of synthetic duvets. Microfibers are a highly compressed man made material and have similar property as those of natural down filled duvets enclose. 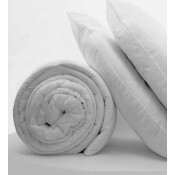 Synthetic duvets blessed you with enormous warmth and comfort which you have always dreamed of. Synthetic duvets, apart from being best insulating material, are cheap and highly affordable too as compared to goose down duvets. Moreover, they can last pretty long if handled with care. Synthetic duvets are highly recommendable to you if you have small children and pets at home as these duvets are machine washable. There is always a black side of almost everything and so is with synthetic duvets. Synthetic duvets give the same pleasure and warmth but they are not as breathable as natural feather. Due to this reason, they impose negative impact on your health (preferably synthetic duvet with polyester filling) as it affects your integumentory system, not allowing your skin to breathe properly. If you have a new born baby, avoid using synthetic duvets as it can be very injurious for your baby’s skin. Synthetic duvets hold unwanted chemicals which could cause your baby prone to skin irritation or various other allergic reactions. 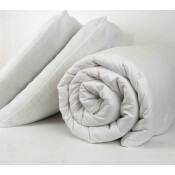 Ensure to choose a high quality filing if you are going for synthetic duvet and enjoy allergy free heavenly delight. Synthetic duvets are available in almost all possible sizes and in ample of designs with sparkling hues. For latest design and stunning synthetic duvets, browse to www.beddingmil.co.uk and bring your duvet home at extremely affordable price.